The need for and right to clean, safe drinking water has long been known as a requirement for life. Since 2012, it has also been statutory right in California along with the additional stipulation that it be affordable. Last year, State Senator Monning submitted a bill that would charge water agencies a tax of about $.95/customer connection/month. This tax would provide a stable funding source so that agencies that draw on contaminated water could clean the water, operate their systems and still provide affordable water. It is a big problem and big money is needed to solve it. In 2015-2016 California spent $148 million in Tulare County alone for emergency water funding. (Community Water Center – SB623 – 2018). The main problems are nitrate and arsenic. The former comes from agriculture applications, the later leaches from the soil, particularly when the wells are necessarily deep. SB623 was pulled from the calendar as some thought it was not a good time to talk about taxes during the election cycle. Now Senator Monning is reintroducing the bill with the label SB200 – Safe and Affordable Drinking Water. As the legislation is being drafted, I assume that the funding mechanism from SB623 will be added to the language because that is clearly the best solution. 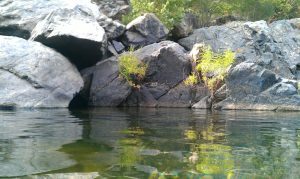 The Northern California Water Agency organization and Assemblyman Brian Dahle argue against the tax on water agencies. In the former case, my guess is that NCWA thinks they are doing good by keeping down costs. In the latter case, I think Assemblyman Dahle just does not like the word “tax”. Both NCWA and Dahle, as a public servant, have forgotten that they have a responsibility to come up with effective solutions to vital societal problems. Both have come up with a solution that solves political or ideological issues, but is too small to solve the problem. That “solution” is to set aside $750million from the State Budget and use the interest earned to provide funds. Unfortunately, the math does not work; this scheme is significantly short of what is needed. We are early in the legislative calendar. This is an important piece of legislation and should receive wide recognition. As it moves forward, we will need to find opportunities to encourage our public servants to have the political will to solve it.